Rarely does there seem to be a Saturday that I have time to go to one of me favorite farmer's market, but when I do, I want to buy everything. Fruit was my bounty this last trip. Most times I buy too much and it ends up going bad. This time I was determined to use everything before it spoiled. A salad with fruit was my answer. 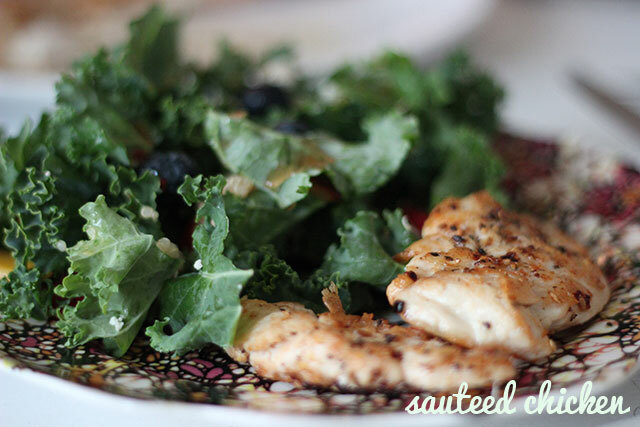 K made delicious sauteed chicken breast and I the salad. The meal was simple, quick, and delish. This would make an easy weeknight meal. 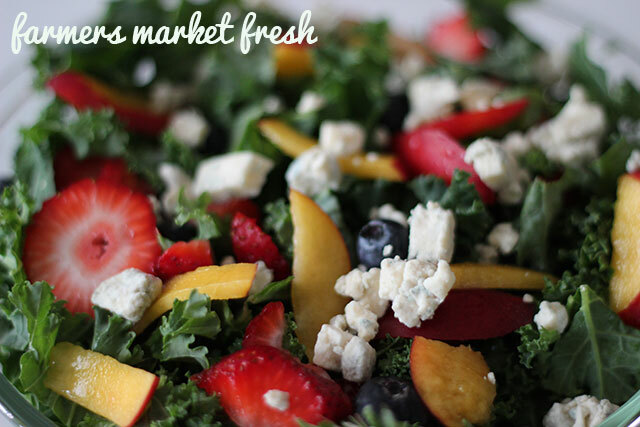 The salad is kale, quinoa, blueberries, strawberries, nectarine, blue cheese, and a homemade vinaigrette.